For some unknown reason, we have developed a fascination with Dams and any associated Hydro-electric Power Plants and navigation locks. So, many of our vacations are planned around "bagging another one", visiting and photographing a dam and its surroundings. Our goal is to bag every power producing dam in Georgia and the surrounding states of Tennessee, North and South Carolina, Florida (if there are any! 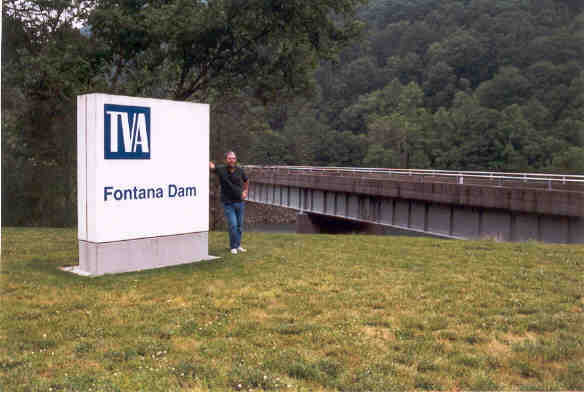 ), and Alabama, and of course the last TVA dam in Kentucky. Other dams will be included as opportunities arise (no dam buff could resist Hoover, for example, but it's a little far away for a weekend trip!). Interesting non-power dams will also be included, like the Little River dams (one of them used to produce power).